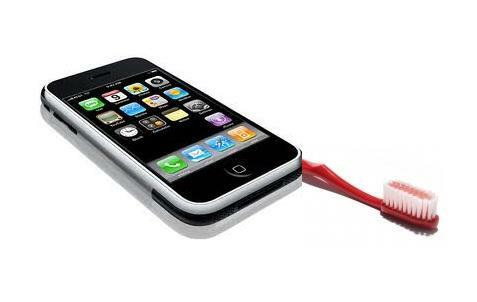 Dear Dental Ninja, while attending a conference earlier this week, someone reported that there were more people in the world that owned cell phones than people that owned toothbrushes. Is this true? Yes. At least I think so. I first did an exhaustive google search, but was frustrated to find that this claim had been propagated over and over again with no solid references, much like any urban legend. Any links I found would go back to a power point presentation someone gave at a conference, or would credit the UN - which sounds pretty legit, right? I think anytime I make stuff up I'm just going to cite the UN as my source. "Did you hear that the military is developing ammunition made out of rabbit teeth? Yeah, the UN said so." Anyway, if this was a simple googleable answer it wouldn't be any fun, right? Without a credible statistic available online, I did what anyone would do: I contacted the curators of the world toothbrush museum in Sweden in order to ascertain the number of toothbrushes in the world. These guys are totally awesome they deserve a blog post of their own one of these days, but for now I'll stick to the task at hand. Also, their website is currently down and a hacker named Shiraz is taking credit. Bummer. Anyway, the gist of their emailed response was that I should go into a store and count how many toothbrushes are for sale and compare it with how many cell phones are for cell. This logic led them to the conclusion that there are a thousand times more toothbrushes than cell phones. Yeah, I'm not convinced either. "You're cleaning you the teeth!?! What have you eaten?" Yeah, between his breath, the visible foliage in his dentition, and this remark, you really get the impression that in his culture oral hygiene just isn't that important. On the other hand, even as a refugee in a foreign country, you bet he had a cell phone, aka a Händy. China, being the most populous country ever, is obviously going to play a huge role in the cell phone vs. toothbrush race. One stat I was able to track down is that China currently has 4.6 billion with mobile phone subscriptions and only 4.2 billion people with toothbrushes. (Don't worry, I did the math for you: 400 million without a toothbrush). Take this stat for what it's worth, I don't know how who counted all the toothbrushes but everybody is crediting the MMA Forum Asia 2010. 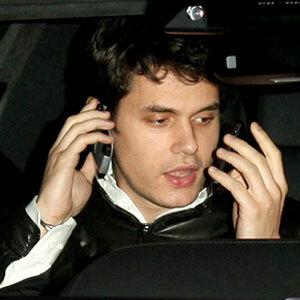 That's right, I'm John Mayer and I have two phones. At any rate, I highly doubt there are any countries with anywhere near 100% "toothbrush penetration." The profit margins on a single toothbrush are nowhere near what they are for a cell phone subscription, therefore toothbrush manufacturers are nowhere near as motivated to market as aggressively as the worldwide cell phone manufacturers and service providers. So here's the challenge: somebody make "an app for that". How about it Steve Jobs? It wasn't that long ago that "camera phones" were the cool thing to have, so what's stopping us from seeing this as the revolutionary new iPhone 5?